Oscar Wilde, as famous for his witty quips as for his plays and novels, once said, “The only thing to do with good advice is to pass it on. It’s never of any use to oneself.” Although we can take Wilde’s maxim with a grain of salt, he makes a good point in his usual ironic way. Listening to advice is difficult because, simply put, it’s very often wrong. On the other hand, you could be given good advice that holds generally, but it’s not applicable to your specific situation. Or, what’s worse, you’ve been given some good advice, but it’s not what you want to hear. You don’t listen, and then you make the very mistake you could have avoided by listening to the advice you asked for in the first place. If you want to know whether you should listen to someone’s advice, the first thing you should do is impartially evaluate the person advising you. It’s easy to think that since X is your BFF, she’ll know exactly what to do in any given situation. Analyze exactly what your dilemma is, then ask for advice from those who have been in similar situations before. But, be forewarned that just because someone has been in your shoes before doesn’t mean that your problem will be solved with their same course of action. Cognitive psychologist Daniel Kahneman researched cognitive biases in his paper about focusing illusions . “When people consider the impact of any single factor on their well-being,” writes Kahneman, “they tend to exaggerate its importance; we refer to this tendency as a focusing illusion.” Kahneman suggests that focusing illusions can very often be the main source of error in decision-making. So, it’s very possible that when you take a friend’s advice based on her being in a similar situation before, you may be focusing on only one aspect of your shared experience, to the irrational exclusion of other factors. Another big mistake that many people make when asking for advice is selecting the most confident–not the most qualified–person to help them out. A recent NewScientist article describes an advice-taking study conducted by Carnegie Mellon researcher Don Moore. In the study, Moore gave cash to a group of participants whose task was to correctly guess the weight of several different people based only on photographs. However, the participants were not allowed to guess themselves; rather, they had to buy advice from a group of four volunteer advisors. The participants were not allowed to see the advisors’ weight guesses; they were only allowed to see each advisor’s confidence level. And, just as Moore hypothesized, the advisor who was most confident about his guesses sold the most advice, regardless of his accuracy. 2. Did you pay for the advice? So what? In another advice-taking study, Harvard Business School researcher Francesca Gina determined that people will give more value to advice when they pay for it, regardless of quality. Gina suggests that people tend to overvalue advice for either two reasons. For one, they buy into the “sunk-cost fallacy,” meaning that, in trying to get their money’s worth, people will take advice simply because they don‘t want to waste funds. Another reason for Gina’s findings may be related to cognitive dissonance, which is a phenomenon that occurs when a person experiences an inconsistency between information one receives and ideas a person believes are true or important about themselves. In Gina’s study, cognitive dissonance occurs when people spend money on advice. Even though the quality of the advice may be poor, they must listen in order to resolve the inconsistency that arises because they feel strongly that they are not the type of person who would spend money unnecessarily. 3. Do you even need advice? American author Erica Jong once said, “Advice is what we ask for when we already know the answer but wish we didn’t.” Jong’s quote speaks to a fairly common phenomenon in which advice-seekers need only positive affirmation about a particular decision in order to proceed. 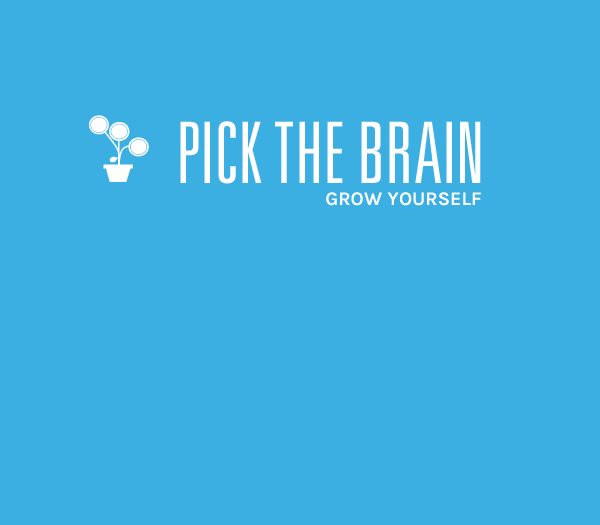 Ali Hale’s recent Pick the Brain blog post, How to Stop Waiting for Permission discusses the counterintuitive notion that you must wait for the go-ahead before you try something you’ve already decided you want to do. Pamelia Brown is a Guest Blogger for PickTheBrain, who writes on the topics of online associate degree programs . She welcomes your comments at her email Id: pamelia.brown@gmail.com.